Search for Palm Springs 55 Plus Homes and Condos. Todd Riley at Keller Williams Realty makes it easy to find 55 Plus Homes and Condos for Sale in the Palm Springs Areas. Todd has Express Searches setup for all the 55 Plus Communities in the Desert Areas. Search for Palm Springs 55 Plus Homes and Condos for Sale. Todd has predefined searches for all 55 Plus Communities that are updated continuously. Customize your search, save properties, ask a question, schedule a showing – also with just a click! Easily find Rancho Mirage 55 Plus Homes for Sale. Todd Riley at Keller Williams Realty, 55 Plus Realtor in the Desert Area, makes finding 55 Plus Homes for sale in Rancho Mirage easy – just click! Currently there is only one 55 Plus Community for Sale in Rancho Mirage – Del Webb. Del Webb is currently being built and has quick move in homes currently available. The new Del Webb community at Rancho Mirage will be about 1000 homes in a gated County Club like setting without the golf course. Easily find all La Quinta Trilogy Homes for Sale. Todd Riley at Keller Williams Realty, Desert 55 Plus Specialist, makes it easy to find La Quinta Trilogy Homes for Sale – just click! Trilogy at La Quinta, CA is a gated 55 Plus Community with 1400 homes with 13 floor plans and homes ranging in size from 1400 to over 2800 square feet. Impressive amenities including club house with ballroom, restaurant, gym, spa and more! This is also a Golf Community. Easily find all Desert Sun City and Del Webb 55 Plus Homes for Sale. Todd Riley at Keller Williams Realty makes it easy to find all Sun City and Del Webb 55 Plus Homes for Sale in the Desert Areas including Palm Desert, Indio and Rancho Mirage. Communities in the Desert Area including Sun City, Sun City Shadow Hills and Rancho Mirage. 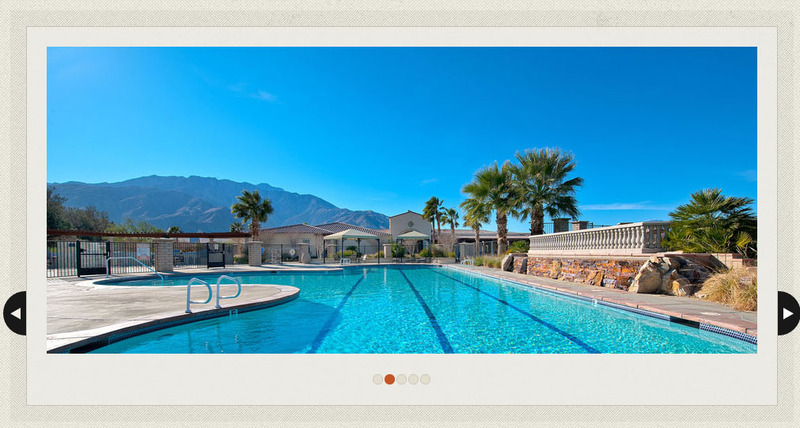 Easily find and search for Palm Springs Four Seasons Homes for Sale | A 55 Plus Community. Todd Riley at Keller Williams Realty, your 55 Plus Specialist in the Desert Areas including Palm Springs, Palm Desert, Indio, La Quinta and Rancho Mirage. The Four Seasons in Palm Springs, CA is a gated community with 477 single family homes. Homes here range from about 1900 square feet to over 2800 square feet. Minimum 2 bed and 2 bath homes and then up to 4 bedrooms and 4 baths, some with detached casitas with bath. Community features include an incredible Club House with Ballroom, restaurant, gym, hair salon, library, arts and crafts, computer and more. 2 Pools, tennis, basketball, bbqs and so much more. Express search and value information for Trilogy at La Quinta. A gated 55 Plus Golf Course Community with Clubhouse. Miralon at Palm Springs | 55 Plus Alternative? Search for Miralon Homes for sale in Palm Springs CA | An Exciting New Housing Community in Palm Springs, CA. | Maybe a 55 Plus Alternative? Miralon at Palm Springs coming soon! A new gated community with an empasis on communal public spaces including a Olive Tree Farm and Clubhouse. Over 1100 single family homes will be developed on about 300 acres. Miralon homes will be on Fee Simple Land, meaning you own the land and this community is not on a land lease. Miralon at Palm Springs | Coming Soon! Coming to the Desert in 2018 – Del Webb at Rancho Mirage a 55+ Community! Sited on approximately 300 acres this Pulte Homes development will have just over 1000 single family homes built on Fee Simple Land – you own the land – not on land leases. 10 Innovative Floor Plans with 2-4 Bedrooms and 1400 t0 2800 square feet of living space. Unlike other Del Webb developments in the area (Sun City Palm Desert and Sun City Shadow Hills at Indio) this will not be a golf course community. The community will be gated and have a Clubhouse with pools, ballroom, gym, tennis courts as well as Social Clubs. Del Webb at Rancho Mirage just broke ground September 2017. Not affiliated with Del Webb or Pulte Homes.